This site was officially launched on December 10, 2011 by Richard Winters, who you can see visiting Monument Valley. I came up with the name Scopophilia because I thought it was the last movie related name I could think that hadn’t already been used in the thousands and thousands of movie blogs that are already out there. The meaning, in case you don’t know, is Greek for ‘love to look’. I was thinking of naming the site ‘Far out man’, but was afraid that Tommy Chong might have a patent on that phrase, so I went with this one. 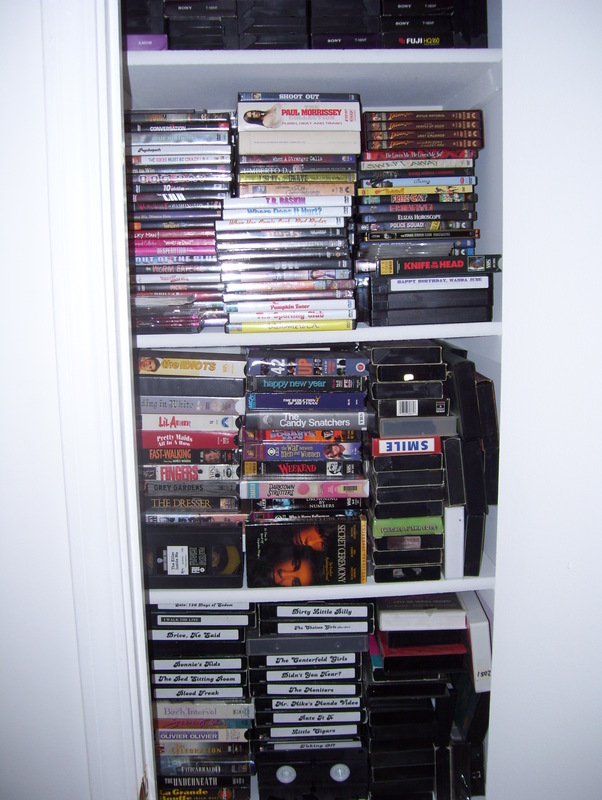 I have been a major film collector for years, some of which you can see pictured at the bottom, and decided it was about time that I start taking an inventory of what I own as well as catologuing my thoughts of each film that I saw. I have always enjoyed the 60’s/70’s era simply for the landmark way it changed the society we live in as well as the arts and entertainment. It was a fascinating period for sure and the wide variety and sometimes groundbreaking movies that came out during that time were simply a reflection of that. It is fun to go back and relive that atmosphere again. Even if one wasn’t alive they can still see how the world they live in now was shaped by what happened during that period. Besides, most movies coming out today seem to be remakes of films from that era, which only proves what a truly creative climate it was. Monday: A review of an 80’s movie. Every other Wednesday will be a review of a 90’s movie. So far the response has been great and I thank everyone for their kind comments that they have left. Of course if you don’t agree with my assessment of a film I am always open to a debate, which we do a lot of in my Indy Film Buffs group. Requests and suggestions are also welcome. So far the number of views and return visitors have been amazing. Have a groovy time! Great post, I think blog owners should acquire a lot from this web site as it’s real user friendly. So much fantastic info on here :D.
Hey, drop me an e-mail. You can find the address on my contact page (http://forgottenfilmcast.wordpress.com/contact/). I have a blogging question for you and didn’t see a way to e-mail you on your site. Thanks for digging my entry on an abandoned house that I thought looked like the house from Psycho. I too am a huge movie buff, I look forward to checking out your site. Thanks! I thought that house looked genuinely creepy especially with the way you captured with black and white film. Thanks for the comments on Let There Be Movies. Given your affinity for these three decades, you might be interested in my rant on the best decade for movies. I’m an 80’s baby and not too versed on 60’s and 70’s titles except the more well known ones, but I look forward to reading your stuff! One of the best blogs ever. Love you, man. I agree the 60’s & 70’s shaped the world we live in today!! I love movies n’ music from that period!! Glad to have come across your Blog! !